7 & 10 August: Buster Keaton’s Sherlock Jr. (1924) + comedy shorts, with live score from The Lucky Dog Cinema Band. 8 August: Charlie Chaplin’s short comedies (including One A.M. and The Immigrant), with live score by pianist Christopher Eldred and percussionist Nicholas D. Ball of The Lucky Dog Picturehouse. 9 August: Harold Lloyd: Safety Last! (1923), with live score by pianist Tom Marlow of The Lucky Dog Picturehouse. 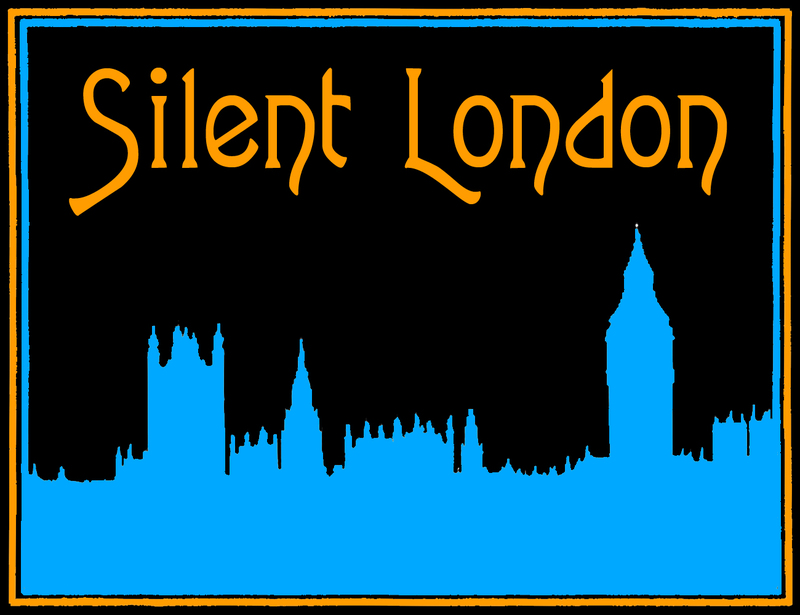 These events should be wonderful, as Wilton’s is one of the most atmospheric venues in London, and the people from The Lucky Dog Picturehouse have an infectious passion for silent cinema. Another of our favourites, the Kennington Bioscope, continue to screen hard to see silent films on the regular, down at the Cinema Museum, but these people also have a festival coming up. The Fourth Kennington Bioscope Weekend Festival takes place on 8 and 9 September, and the full, mouthwatering lineup is posted on the website already. Sparrows! Rin Tin Tin! Guy Newall and Ivy Duke! Constance Talmadge! Pearl White! Turksib! Maurice Elvey! The Golden Butterfly! There are some amazing films in this programme, and the music is guaranteed to impress. You may have noticed, incidentally, that there is no British Silent Film Festival this year, but those good people have collaborated with the Bioscope on some of these screenings, so we needn’t be entirely bereft. Before I crack on with my final titbit, may I draw your attention to a couple of screenings at the Barbican, including the gorgeous The Swallow and the Titmouse, with a brilliant live score by Stephen Horne and Elizabeth-Jane Baldry, which premiered at last year’s BSFF, and The City Without Jews, screening with a new score by Olga Neuwirth. And back in the Bristol region, the autumn programme from South West Silents is pretty spectacular. Check it out on the SWS website. And now for the biggie. The Pordenone Silent Film Festival (6-13 October) has announced its opening and closing galas, and its midweek special event. The Giornate will kick out with Captain Salvation (John S Robertson, 1927), with an orchestral score written by Philip Carli, no less. The midweek special is Mario Bonnard’s I Promessi Sposi (1922), and the week will close with the mesmerizing epic The Chess Player (Raymond Bernard, 1927), as part of the festival’s birthday tribute to Kevin Brownlow. Not only that. Not only that, but the complete lineup (it seems) for the festival has been posted on the Giornate site already – read all about it. Posting the films (no dates yet apart from the galas) so early is unprecedented I think. I am especially psyched about the silent Stahl programme (of course), the restoration of Lubitsch’s Forbidden Paradise starring Pola Negri, Balzac adaptations, more John Collins and some very tempting Scandinavian films. I have been hearing some wild things about the Mario Bonnard strand too. Dig in and explore! If you have registered to attend the festival, you have probably had an email from them by now. If not, you can still register here. Seriously, this does look like an especially good selection, especially for a first-timer – it’s an eclectic but accessible collection of films, so if you have never Pordenoned before, it may be time to dip your toes in the water in 2018. Believe me, it’s a wonderful escape from the real world, and we all need that right now. Hi and thanks for continual emails. Who may I contact to find out the complete dates for Bristol next February? I recall it was a couple of days last time I attended and I can only see February 10 mentioned in the details I have just received. Apologies, I didn’t make it clear in my post. The Slapstick festival runs 18-20 January, and the gala is a standalone event on 10 February.